It snowed quite a bit this week, which means I'm basically hibernating. For some reason, I do this every January. I don't know if it's because I just want things to calm down after an overly busy December or if it's because I hate being outside in the cold so much! Our weekends have been booked all month and are booked until March. During the week, however, I haven't really left the house much, other than for appointments or errands. That's going to change next week, because Dylan will have after school activities twice a week! On Wednesday, Dylan and Lexie had the day off from school. It just happened to snow late that morning, and it was enough to play in. Dylan, Lexie, and Lily were so excited, and Liam seemed to enjoy it, too! They lasted about a half hour, which is pretty much a record for my cold weather hating kids! I love Valentine's Day, and I definitely have a thing for Valentine's Day clothing! Okay, I have a thing for any kind of holiday clothing! Liam is all stocked up for the month of February, and the girls have quite a bit, too. I just ordered the CUTEST dress from one of our favorite online shops today: The Hairbow Company. I got this dress for Lexie and Lily, and I had to buy an adorable heart headband, too! I'm so excited to announce that Liam was asked to be a brand rep for an awesome shop that sells bow ties! Details (and lots of pictures!) coming soon. I always say I will put my sweet boy in bow ties and suspenders forever, so this is perfect! I, of course, think Liam is beautiful, but I am SO thankful for wonderful shop owners and companies who are willing to feature a child who has special needs. 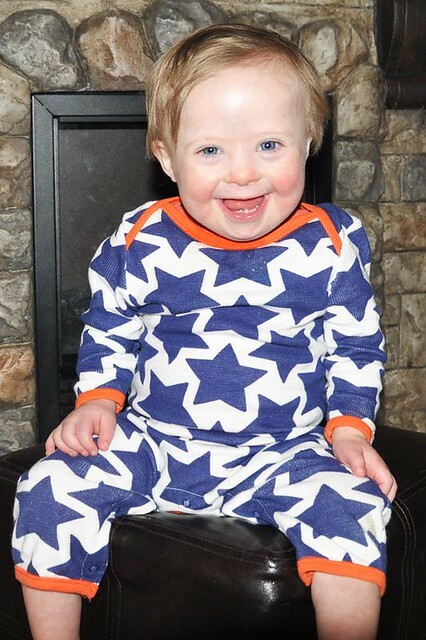 Liam is rocking his extra chromosome and has the most contagious smile! I recently received the Reese's Spreads VoxBox from Influenster. Dylan, Lexie, and I LOVE this stuff. It tastes just like a peanut butter cup that was put in a blender! It is so addictive. Lexie and Dylan love it on toast, but my favorite way to eat it is spread between banana slices! It's my favorite snack right now! I just might have already bought another jar! *I received this product from Influenster complimentary for testing purposes. I started a new exercise program at the beginning of the year. Over the past two years, I did a lot of running and fast walking on paths with lots of hills, some pilates and yoga, and completed all three levels of T25. When my kids went back to school this year, my workouts became infrequent thanks to a crazy new therapy schedule for Liam, followed by the holidays. I started to lose muscle tone, I started to get frequent headaches, and I always felt tired. I had a feeling the lack of regular exercise was to blame. I decided to give Piyo a shot after hearing a lot of positive reviews. I'm happy to say that I love it! It isn't too difficult for me, because I'm used to Pilates and Yoga, but it's definitely a good workout. I can already see a difference in my body after just 3 weeks! Even better, I'm not getting headaches as often, and I have a lot more energy! Just for the record, I'm not a crazy fitness/diet person. I eat healthy, but I basically exercise so I can maintain my shape, stay healthy, and still indulge in treats. Have you tasted Black Tie Mousse Cake from Olive Garden? Just saying!. Ha! I definitely plan on running again once the weather warms up, but I'm going to mix in some Piyo and weights, too! On that note, I'm finally leaving the house today! I've been cooped up in here since Sunday! Happy Friday!!! 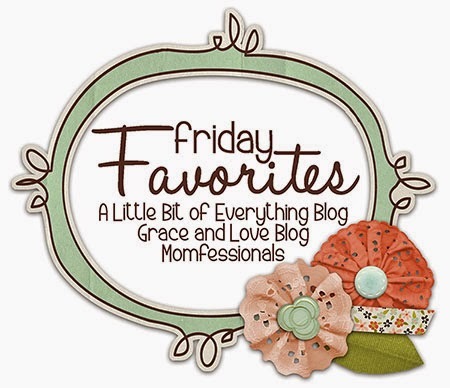 I'm linking up with Andrea, Narci, and Erika for the first time for Friday Favorites! I can't wait to try Piyo! I am so glad you love it and are seeing results! I can't wait to see Liam in his bow ties...he's the best brand rep for anyone!! PS I'll eat anything that says Reese's, so I may have to pick up a jar!! :) Have a great weekend! Did you try it yet? The Piyo and the Reese's? Ha! Found your blog through the link up...love it !!!!! And girl I am with you about hibernation mode in January. Have a great weekend!!! You have a beautiful family. I'm a new follower for sure! 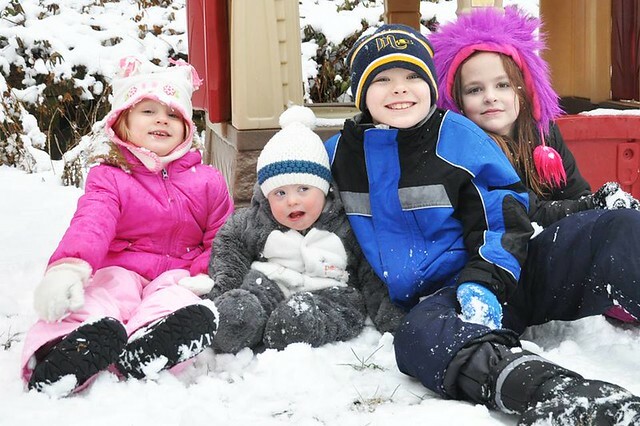 How cute are your kiddies? That Reese's looks awesome, I think I need to see about getting that shipped to Australia! I want to try Piyo too but don't want to spend the money...el cheapo I am. And that spread...OMG looks yum!! Oh my gosh I just love your blog. It's a wonderful way to begin my day. Liam is going to make the best in his bow ties with his infectious smile. 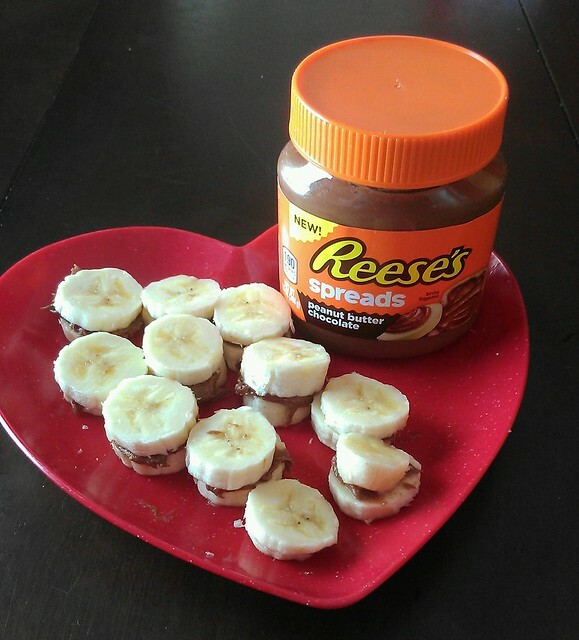 I too put peanut butter on my bananas but now I'm headed out to get a jar of Reese's. That sounds tasty. I Love the snow pictures. Thanks so much for sharing your family! Oh my gosh Liam is going to make the best bow tie model ever! With that infectious smile he's a winner. 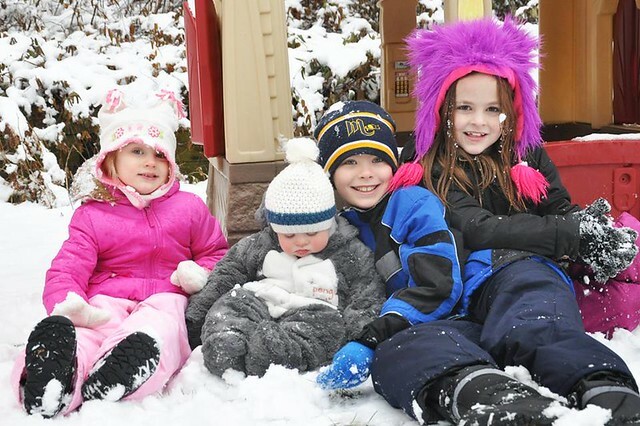 Love the picture of the kids in the snow. And that Reese's I'm going to have to try looks yummy. Thanks for sharing your life with us. I cant wait to see the new shop Liam is repping!!! Ive really been wanting to try that Reese stuff!! Have you tried it? It's so good! How adorable our your babies!!! I got the same Reese's spread(love VoxBox!) my girls are obsessed with it and ask for it everyday :) Hope you're having a great weekend! Thank you! My kids love it so much! 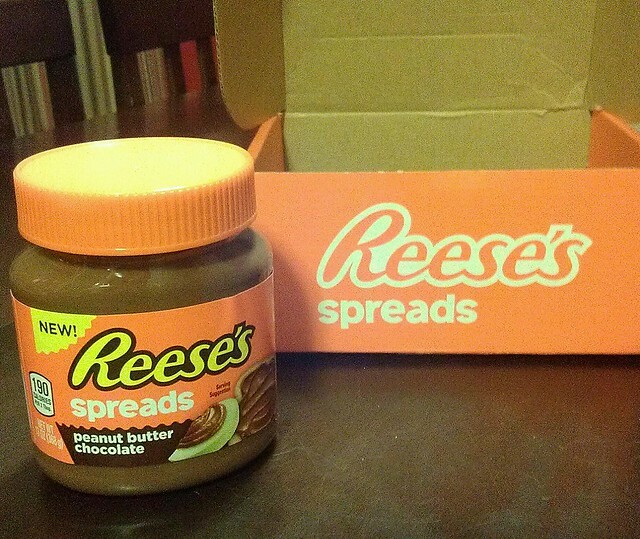 Oh my...that Reese spread needs to find it's way to my house. O have a major obsession with reese anything!! You have adorable kids! Glad to find the blog! Thank you so much! I hope you had a chance to try it. So good! Congrats to Liam, can't wait to see him in his bow ties! You're right....his smile is contagious. Wish I had a little girl to dress up. I got all boys LOL. Love the new dresses. Reese's is the best. I will have to give it a try. Right now finishing off a jar of Nutella. Thank you! Girls are fun, but boys are, too! Oh, and I love Nutella! I am so jealous that you guys get to play in the snow! Eh, don't be too jealous. It's COLD! I can't wait to see all of the bow tie pics! I'm a sucker for bow ties!